In the late 1990s, Christopher Porter visited a friend working in IT at Cisco in Silicon Valley where he had the opportunity to witness innovative IT work first-hand. This experience sparked his interest in the IT field and he went on to work at a law firm specializing in a wide range of technical support. He then took a position at the LSU Health Sciences Center in the early 2000s where a malware incident, SQL Slammer, prompted the organization to place an entire network behind firewalls in a period of a few days. It was through this incident that Porter developed a passion for information security. Coming in as a Deputy CISO enabled Porter to establish a strong relationship with the previous CISO. 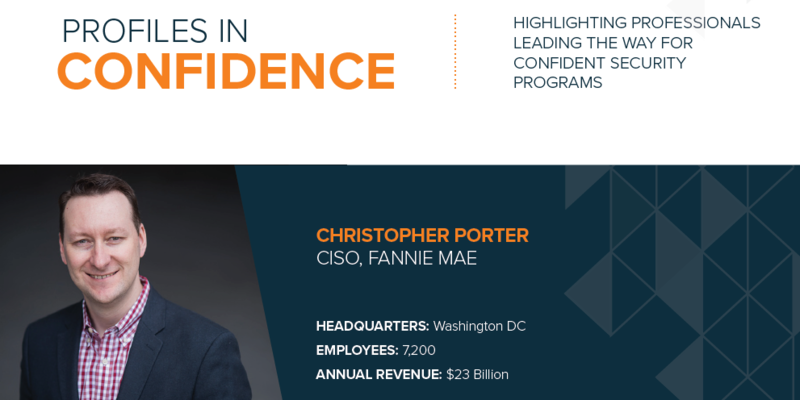 Porter worked diligently alongside the CISO to define and create an information security strategy. He says, “Our mission was to get right, get small and see big. This meant to fix things in the environment that needed fixing, shrink the attack surface and get better insight into the business, technology and network so we can be more proactive. We then had to build the right team and get the right people in the organization to lead. We were in build mode at that time.” After the prior CISO left, Porter took on his role and now carries on this mission of building a world-class information security program. Porter believes CISOs should focus on innovation, collecting data and aligning to the business as they continue to positively mature in their roles.